Star Wars Force Band Just $39.99! Down From $80! PLUS FREE Shipping! You are here: Home / Great Deals / Amazon Deals / Star Wars Force Band Just $39.99! Down From $80! PLUS FREE Shipping! For a limited time only! Hurry over to Amazon to get this Star Wars Force Band for just $39.99 down from $79.99 PLUS FREE shipping! The Force is strong with you. Channel it with the Star Wars Force Band by Sphero. 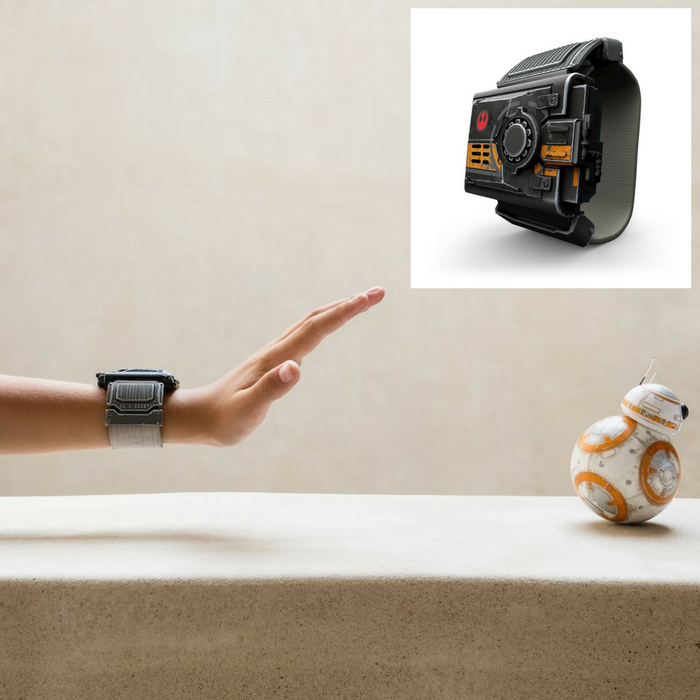 Like a Jedi Knight, you can control your BB-8 App-Enabled Droid with just a wave of your hand and expand your abilities with Force Training. Use the band by itself to complete Combat Training, or collect digital holocrons in your environment through Force Awareness. Fulfill your destiny and become strong in the ways of the Force.